Want personalised Engineering Bricks recommendations, direct from manufacturers? Not pretty but tough and hard wearing; engineering bricks are often used for projects where appearance is not paramount, within tunnels or groundworks for example. If you are looking for a strong and durable brick then an Engineering brick is the one for you. They come in two separate classes, A and B, with each class being useful for different construction needs. Class A bricks also have a low level of water absorption and can withstand frost damage too. 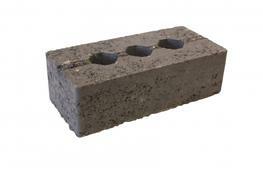 Class B bricks are the most common and can withstand large amounts of compression when used in building work.